Key features: The new free mobile PathTest application launches AppNeta's mobile product line for customers who need access to detailed performance data at any time, from any location. More info. Pricing: Software-only pricing ranges from $5,000 for pilot systems with specific capabilities, to $100,000 depending for a base system configuration, with options and upgrades available. Key features: The full Cisco IPICS 4.6 solution is now available as a virtualized application on Cisco's Unified Computing System (UCS) platform. Public safety professionals are able to virtualize and consolidate applications using Cisco data center and virtualization solutions to save as much as 40% in network and infrastructure costs. More info. 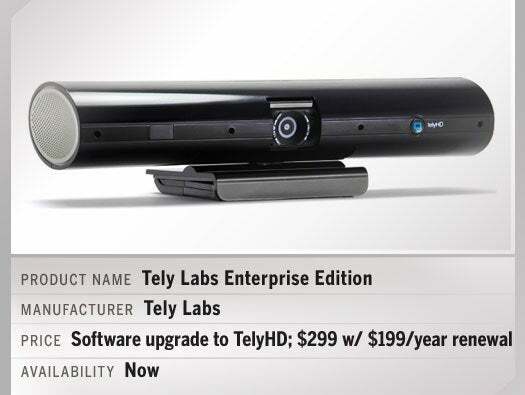 Pricing: License MSRP ranges from $300/printer (or less) up to $500/printer, plus annual support and maintenance agreement (20%). Key features: PrintMe Mobile 2.4 provides advanced capabilities for IT to manage their existing print infrastructure and enable mobile printing across hundreds of printers regardless of brand. More info. 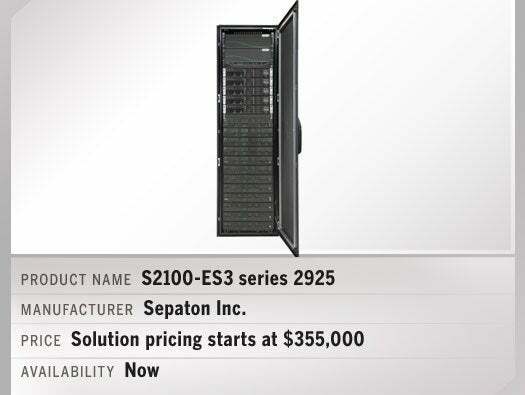 Key features: The FortiMail-200D delivers the complete feature set of the FortiMail product family in a rack-mountable form factor. It inspects more than 170,000 emails per hour, and features flexible deployment options (Transparent, Gateway and Server). 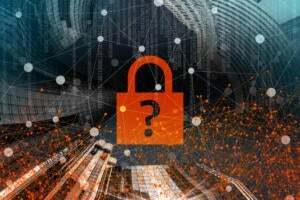 In addition to providing Identity Based Encryption as a standard feature, the system offers an integrated logging and reporting engine that enables visibility into messaging usage, quarantine statistics and other key management information. More info. 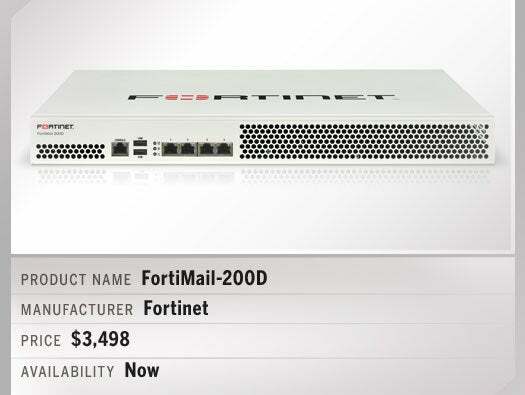 Key features: The FortiMail-3000D, designed for carriers, service providers and large enterprises, advances the protection of networks against spam, malware and other message-borne threats. It enforces secure content delivery via Identify-Based Encryption (IBE), S/MIME or TLS email encryption options and prevents accidental and intentional loss of confidential data using FortiMail predefined or customized dictionaries. It also supports transparent mode, which enables the appliance to intercept emails without changing DNS MX records or existing email server network configurations. More info. Key features: Alteon 6420 is a network cloud platform designed to meet the challenges faced by carriers and mobile service/cloud providers. The Alteon 6420 value proposition extends to application delivery control, mobile Web/app acceleration, mobile control and data plane optimization, application performance monitoring, attack mitigation and more. More info. Key features: It features the performance needed to meet the most stringent backup windows, the flexibility to leverage both FC and Gb Ethernet environments, and added security of encryption of data at rest. More info. 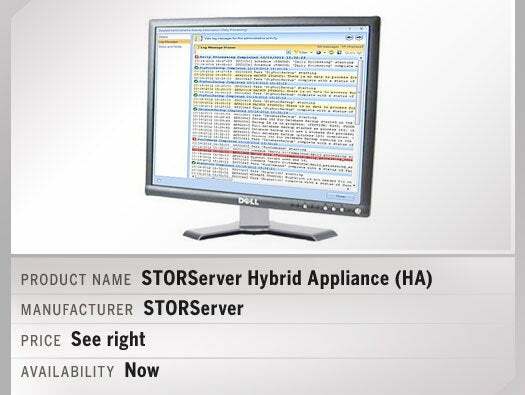 Key features: The Hybrid Appliance uses qualified, customer-supplied hardware to provide a fully integrated STORServer solution. It is built by taking STORServer's software bundle and fully integrating it with customers' hardware for reliable, easy-to-use daily administration. More info. Key features: Melio5 delivers distributed scale-out, high-availability, and enterprise data services via an intelligent software-layer on commodity hardware. By enabling server-side Flash, SSD and HDD to be used as primary storage, customers can enjoy similar economics and flexibility as public cloud data centers such as Google and Facebook. More info. Key features: The world's first GTP session controller load balances data and correlates specific subscriber sessions for mobile carrier networks, resulting in improved quality-of-experience, increased visibility, and efficient resolution of network issues. More info. Key features: CaaS Small Center is a cloud-based communications-as-a-service solution for small contact centers with up to 50 agents. It offers multichannel routing, IVR, reporting, quality management, speech analytics, unified communications and more. More info. Key features: Paints a comprehensive picture of the mobile end-user experience. Features include real user monitoring, trending, reporting and alerting mechanisms. More info. Key features: Alteryx 8.5 allows companies to turn social media into analytics, with an interface specifically designed for line of business data artisans. More info. 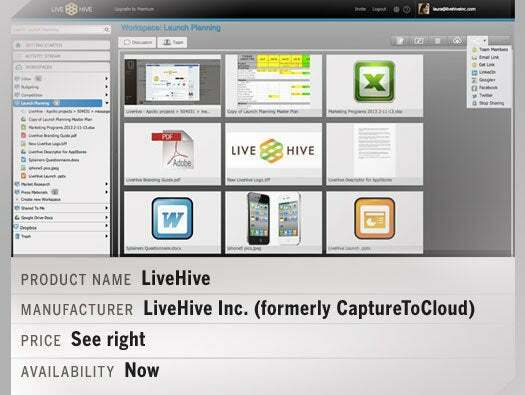 Key features: LiveHive allows users to create visual and social workspaces with any type of file or document along with associated team conversations. LiveHive is built around today's normal workflow, allowing users to add and capture content with their mobile companion apps. More info. 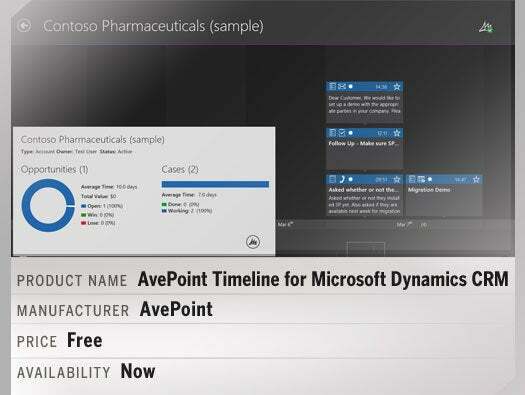 Key features: Users can view, manage and log Dynamics CRM activity on the go from an interactive interface for Windows 8 mobile devices with Timeline, part of AvePoint’s new Dynamics CRM product line. More info. Pricing: Tiered pricing structure. For SIP trunking, standard licenses (for 1-500) are $85 dollars per session, with applied discounts. If a company would like to add remote worker capabilities, pricing starts at $65 per remote worker and goes down from there. This includes licensing fees. Key features: This new release (6.1) secures mobility. Includes security for the Avaya Flare Experience on iPads and Avaya one-X Mobile applications on iPhones. Also: VPN-less capabilities for remote employees accessing business networks, and secure SIP trunking and remote worker applications. More info. 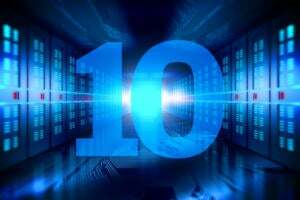 Pricing: Priced as a percentage of a software vendor partner's license or under $100 per user in large quantities. Key features: Linguify can add any language to any application, including mainframe, client-server, Web, cloud and mobile apps, without modifying its code or database. Using ApplnterceptT technology, Linguify captures and translates application outputs (screens, print jobs and files/reports) at run-time. More info. Key features: The latest version of Sencha's mobile and desktop app builder -- Sencha Architect 2.2 -- allows developers to rapidly design, develop and deploy HTML5 enterprise applications. More info. 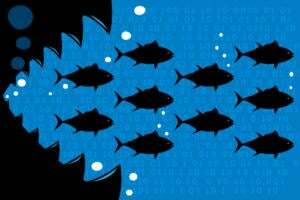 Key features: LiveRebel helps software teams release apps -- code, DB and config -- in-sync, onto many environments with no downtime or overhead (failed deployments are fully rolled back). LiveRebel 2.6 supports Java, PHP, Python, Ruby and Perl apps bundled with database, config and content changes. Management console monitors the health of apps and servers in real-time. More info. Key features: Heat Map provides a visual picture into Amazon Web Services cloud capacity and utilization. Allows users to identify fixed vs. variable capacity, make better capacity planning decisions, and spot usage which could be better economically served over fixed-capacity computing platforms. More info. Key features: Brings HD-quality videoconferencing to secondary conference rooms, remote offices and teleworker locations through unprecedented interoperability with existing providers like Cisco and Polycom as well as through Apple/Android devices and computers/laptops. More info. Key features: iMeet's new, native Android app lets people meet face-to-face online, and start and manage their meetings from anywhere in the world. The application includes an intuitive user interface, HD video, file sharing, social tools and much more. More info. Key features: Splunk DB Connect allows structured data from relational databases to be integrated into the Splunk Enterprise data monitoring and analyzing tool. More info. Key features: Deeply integrated with VMware, RecoverTrac 2.6 recovers virtual machines using VMware Virtual Machine Disk format, reduces data failback times and automatic repairing of replication policies. More info.